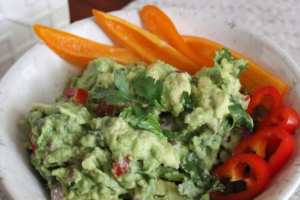 This recipe may only be famous in my small pond, but it did win a “guac-off “ with some friends so in my book that means it’s the gold standard! I really do love this guacamole recipe though, as does my husband and anyone else I have ever served it to. It is incredibly easy and lets the fresh, delicious ingredients shine. 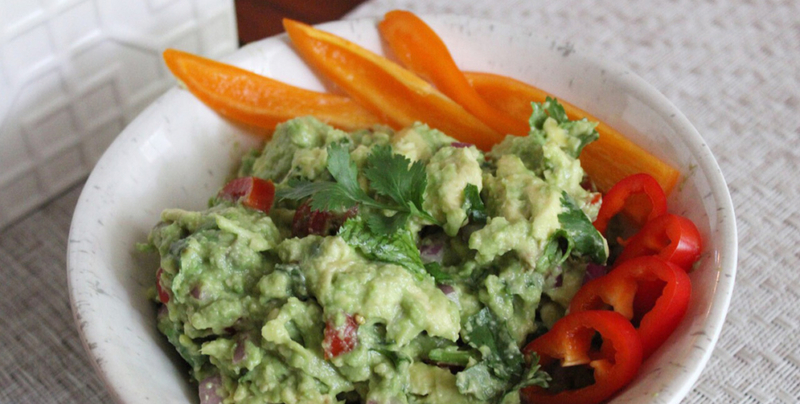 There’s nothing that beats homemade guacamole and chips or crunchy veggies on a summer weekend afternoon, so whip this up soon. I promise it will go fast. 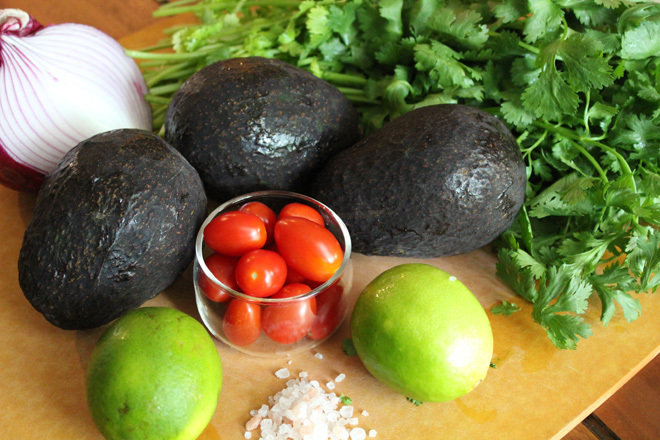 Note: lime and onion tend to make or break guacamole for some people, so it’s important to start with smaller amounts of those ingredients, taste, then add to your preference. Cut the avocados into a bowl. Add in the small diced tomatoes, red onion, chopped cilantro, and lime juice. Mash until just chunky. Finish with salt to taste. Feel free to adjust ingredient amounts, particularly the lime and onion, to your preference. Enjoy!